Although it will be more than a month until this report goes to publication, I am writing after just completing the 2017-18 federal Budget lock-up in Canberra with senior tax counsel, Professor Bob Deutsch, and tax counsel, Stephanie Caredes. It was my first Budget lock-up event and very possibly my last, so it has been a unique and enlightening experience. After signing in and surrendering my phone under the shadow of the official secrets section of the Crimes Act 1914 (Cth), the anticipation of the lock-up event took me back the best part of 20 years. It was much akin to that all-important university exam, with 300 or 400 other anxious stakeholders waiting for the magic moment of the doors opening. However, unlike the exam scenario, the reading time allotted was four hours, not a mere 15 minutes! Julie Van der Velde is the winner of The Tax Institute's 2017 SME Tax Adviser of the Year award. We asked Julie about her career and life. What initially led you to a career in tax? I came to Australia from England with two small children in 1993. After working as a lecturer at the University of South Australia, I went into public accounting practice in 1997. I wasn’t passionate about the nuts and bolts of accounting but, from the start, I found tax law interesting and enjoyed the challenge of its continual evolution. I worked in a range of accounting firms — culminating in 2007 as an associate director in a “big four” firm, working on the development of internal training programs, Treasury submissions and publications, all in the small to medium enterprise (SME) area. Subsequently, I moved into legal practice, continuing to specialise in tax law and working with SMEs. 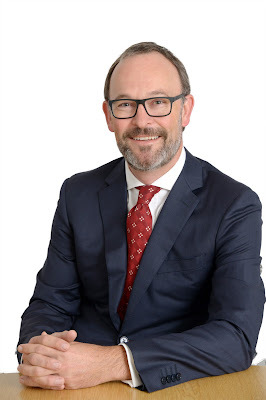 Grahame Young FTI is one of Western Australia’s most well-known commercial counsels. He joins a stellar line-up at The Tax Institute's 50th Annual Western Australian State Convention in August. 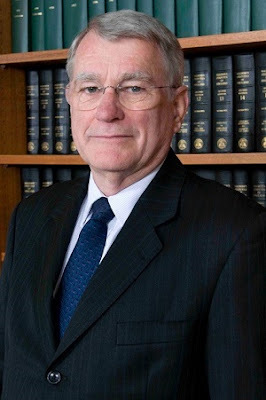 We spoke with Grahame about what attendees can expect from his session, ‘Appointors and guardians – getting deeds right’. As control of trusts passes or is contested between generations, the rights, duties and identity of appointors and guardians have become critical. “Cases such as Mercanti and Blenkinsop demonstrate the shortcomings of traditional discretionary trust deeds, in particular in relation to the rights, duties and liabilities of appointors and guardians, their replacement and providing for successors”, Grahame said. Grahame will outline the issues surrounding trust deeds and will suggest innovative approaches for drafting new deeds and amending existing deeds. The Australian Taxation Office recently released a draft practical compliance guideline, PCG 2017/D4 dealing with taxation issues arising from cross-border related-party financing arrangements. This is a timely document, particularly in light of the recent decision of the Federal Court in Chevron where the ATO prevailed arguing that an interest rate of 9% charged by a US subsidiary to its Australian parent was excessive and should have been calculated on the basis of a 5% interest rate giving rise to a more modest deduction. The guideline is essentially intended for internal use by the ATO but gives taxpayers the opportunity to effectively self-assess their level of risk. The guideline will establish a risk framework made up of six risk zones. The risk zone depends on the score allocated to the particular financing arrangement in question. The relevant zones, ratings and scores are set out in Table 1. The Tax Institute’s Superannuation Technical Committee has released a list of key points from the new superannuation tax reforms. The list is designed to provide a ‘flag’ to readers of the main issues that will need to be considered in the lead-up to 1 July 2017. It does not set out complete details for these new measures and is not a comprehensive summary of all the reforms. Further advice should be sought and research undertaken before taking action. The new superannuation tax laws substantially commence from 1 July 2017. Many of the measures require careful consideration for super fund members, trustees and their advisers. 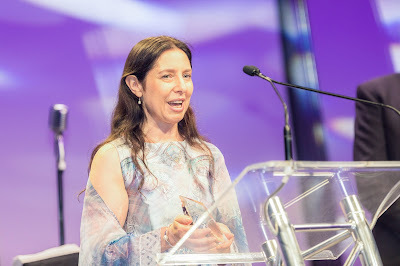 The Tax Institute's annual Western Australian State Convention will celebrate its 50th anniversary this year with an outstanding line-up of local and interstate speakers, practical workshops and technical sessions that emphasise 'real-world' application. 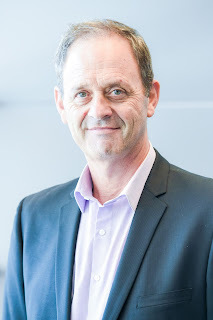 We recently spoke with Jonathon Leek CTA – a Partner who leads the Perth tax practice at Deloitte Legal, one of The Tax Institute’s WA State Council members and Chair of our WA Technical Committee – about what to expect from his session at the Convention: 'Tax dispute resolution in the modern era'. Jonathan will examine the life cycle of a tax dispute, and will offer practical insights from his career as a lawyer experienced in each phase of a dispute. Peter McKnoulty CTA is a Consultant with McCullough Robertson and has been with the firm for 36 years, including 25 as Partner. Peter specialises in business structures and restructures, and estate and succession planning. 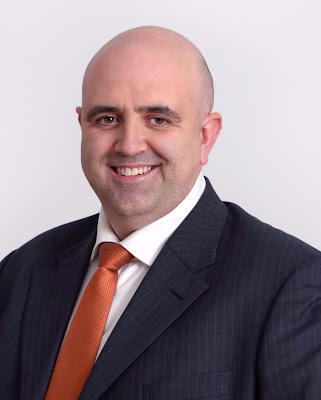 He will be one of almost 40 expert presenters at this year’s Queensland Tax Forum. Peter’s presentation, ‘Evolving structures of SMEs – more than meets the eye’ will look at the modern SME and recent legislative changes that may present new opportunities for SME structures. We asked him to tell us more about what his sessions will cover. I recently saw the initial findings of The Tax Institute’s latest in-depth survey of member satisfaction. They make for interesting reading. We will provide a summary of the 2017 survey insights in a future issue of the Taxation in Australiajournal. In the meantime, I’d like to offer a few early reflections. Background of the survey The latest survey represents the most recent stage in our ongoing process of evaluating everything we do at the Institute. At each CPD event we host, we ask for attendee evaluations. We ask candidates in our education programs for feedback on the quality of their learning experience. Likewise, our membership survey asks members about what they value most about the Institute, whether we’re providing the right kinds of services for them, and what we can do better. The Queensland Tax Forum returns in 2017 at a time when all we can be certain of is change. With so much in flux, disputes are inevitable. So what practical steps can you take to ensure that your clients are best prepared for success? Fletch is a partner in Cooper Grace Ward Lawyers’ commercial team, providing advice across a range of commercial issues, and is responsible for managing a significant volume of tax and customs disputes. David is a commercial Silk practising principally in tax, with a broader practice in commercial litigation, trusts and estates, and administrative law. We spoke with David about what to expect from their session. How the recent changes to superannuation affect the ability to grow an SMSFImplications for auditors of an SMSF.In her session, ‘Growing your SMSF – the current state of play’, Linda Farmer CTA (Grant Thornton) outlined how the $1.6m 'transfer balance cap' (TBC) will effectively mean that, from 1 July 2017, the amount of assets supporting pensions that are currently tax exempt is no longer limitless. Further, assets that are currently tax exempt because they support pensions will be subject to capital gains tax. Transitional CGT relief has been provided which is intended to ensure no one is adversely impacted by this change. The Queensland State Budget was delivered yesterday and contains a number of interesting proposals, including a plan to index fees and charges imposed by the State Government in line with changes in the Consumer Price Index with effect from the 2019-20 tax year. With inflation currently at historic lows, this could be a dangerous proposal in that it will give the Government little room to move if inflation stays low but the costs of providing state related services increases substantially. The Budget also extends the proposed Federal Ghost House tax with a 1.5% land tax surcharge on land left vacant by foreign owners for extended periods of time. This continues the broad, recently-initiated scheme which appears to have as its key focus an attack on foreigners. The paper for May was Employees v contractors by Nicholas Gangemi CTA. Nick is a Barrister on Second Floor Selborne Chambers. He works in tax and commercial litigation, tax disputes and the provision of tax and legal advice. In the paper, he says the distinction between ‘employees’ and ‘independent contractors’ is one that comes up regularly in the tax law. It’s an important distinction that affects income tax, payroll tax, fringe benefits tax and superannuation guarantee charge rules, with an oblique impact on the GST. In the income tax law, it has a large impact on the pay-as-you-go withholding system, employee share scheme rules and, to a lesser extent, the personal services income rules. SMSF advisers – are you prepared for major changes to the taxation of superannuation? 1 July 2017 will see the biggest changes to the taxation of superannuation in a decade come into effect. 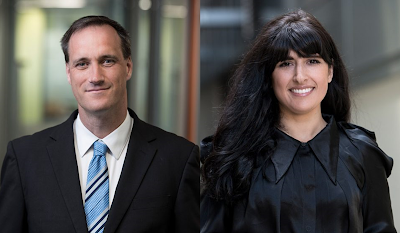 Peter Slegers, CTA, and Nicole Santinon, ATI, of Cowell Clarke are the authors of The Tax Institute’s new book title, SMSF Income Stream Guide. We spoke with Peter and Nicole about how the changes will impact practitioners.